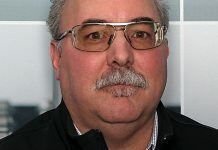 The Nachi-Fujikoshi Corporation, and the Nachi Machining Technology Company, are hot on the trail of eliminating coolants from the tool-cutting process. 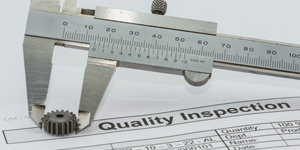 As with all manufacturing processes, the focus remains on piece cost and workpiece quality. 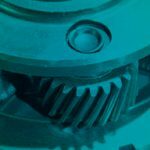 Piece cost is primarily composed of the combined components of raw materials, the initial tool cost, tool sharpening and recoat, and the price of coolant, coolant disposal, machine cycle time, equipment depreciation, and general labor. 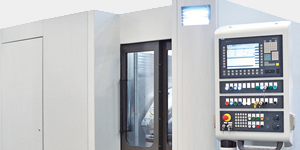 As can be concluded, the cutting tool drives a considerable portion of the workpiece cost. 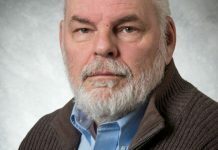 In recent years–and with an increasing interest in environmental issues–coolant costs have risen significantly, both in terms of the initial cost of the coolant and, perhaps most significantly, in the disposal of the waste coolant product. 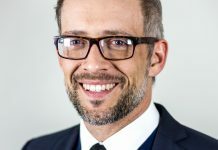 In many instances, the disposal costs can be four to five times the initial cost of the base product. 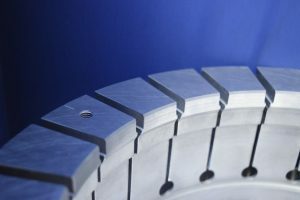 In response, Nachi-Fujikoshi set out about five years ago to achieve dry cutting in all of their cutting tool products. 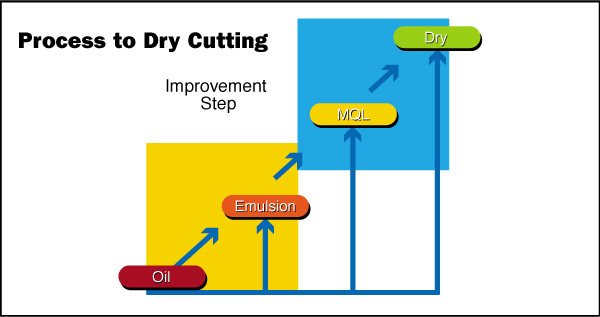 As can be seen in Figure 1, there have been three different process steps to be taken in achieving dry cutting in the industry. 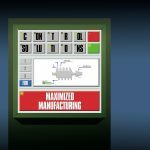 Each step along the process results in improved environmental conditions and employee health issues, as well as a lower overall operational cost. In each step, however, the same basic hurdles must be overcome; heat dissipation, lubrication, and chip extraction. 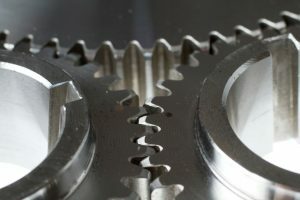 Emulsions are typically water-based products utilizing various additive packages to provide lubrication between the workpiece and the cutting tool. 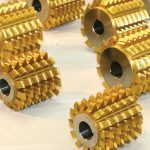 Under high cutting pressures and temperatures, these additive packages can break down and the water can vaporize, resulting in the loss of both lubrication and heat dissipation. 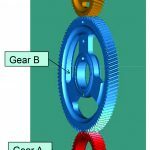 Additional problems with water-based products include bacteria and corrosion. 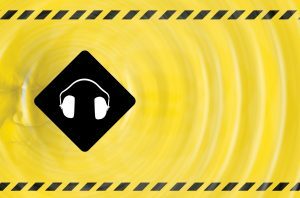 Most water-based products require a biocide to control the growth of bacteria as well as a rust inhibitor. 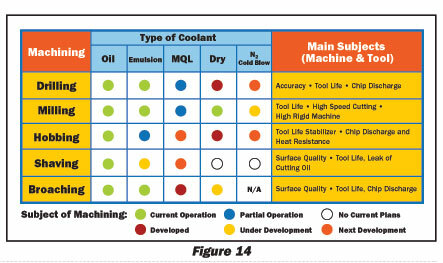 Minimum quality lubrication (MQL) is a process where small amounts of coolant, typically three to five cc’s per workpiece, are misted on the workpiece prior to the beginning of, or during, each cycle. 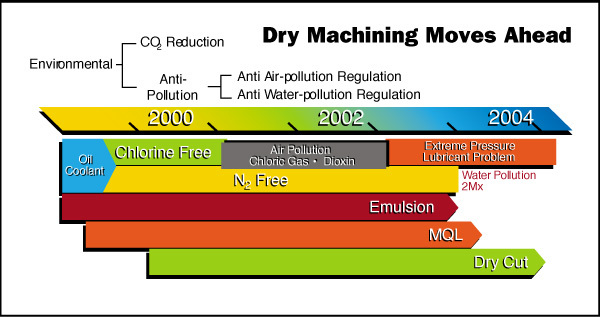 The lubrication is usually a vegetable-based oil for improved environmental conditions. Since it is misted, however, the mist requires some type of collection system Figure 2. 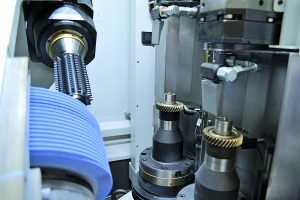 At Nachi-Fujikoshi’s research and development facility in Toyama, Japan, work is ongoing to achieve the dry-cutting goal. 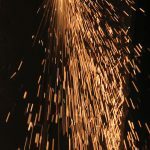 With the support of Nachi-Fujikoshi’s Special Steels, Thermal, and Coatings divisions, they have developed new cutting-tool materials and surface treatments. 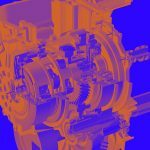 As a direct result of these activities, many of the developments–while not acceptable for pure dry cutting–have resulted in significant improvements in the existing coolant regimes, resulting in the ability to operate at improved cutting feeds and speeds. 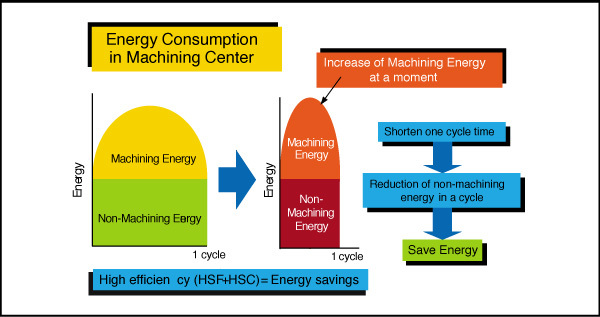 These improvements reduce cycle time and, typically, the energy consumed per cycle Figure 3. 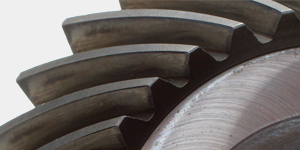 Hobbing is typically performed up to 400 m/min with feed rates of up to four mm/min. 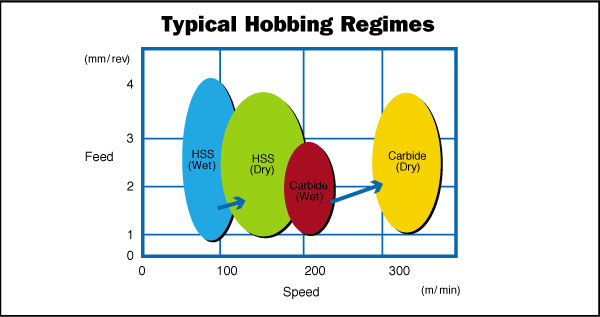 Figure 5 illustrates the typical operating regimes of various hob-cutting tool processes Figure 4. 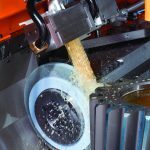 In the cutting process, there are four key components, including the workpiece, the cutting tool, the coolant, and the resulting chip. 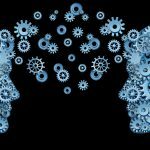 It is important to study and analyze the effects on each. 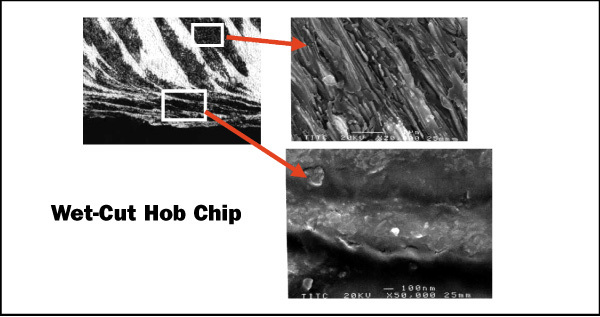 Figure 6 shows highly magnified views of a chip from a typical wet-hobbing process. The structure appears fibrous as a result of the shear stress and thermal distortion Figure 5. 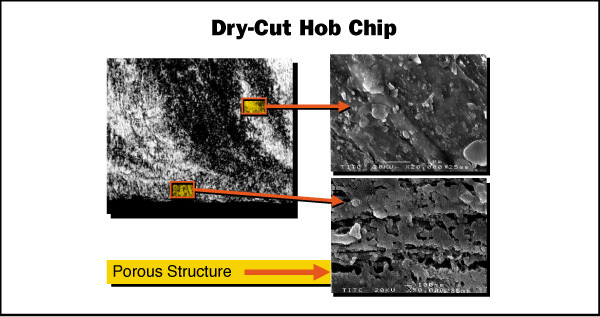 Figure 6 shows highly magnified views of a chip from a typical dry-hobbing process. The resulting structure is porous due to the material dislocation under high pressure and temperature conditions. The cutting action can be examined in Figure 7. 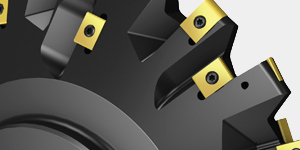 The dry-cut chip surface provides a barrier minimizing heat transfer from the cutting chip back to the cutting tool. 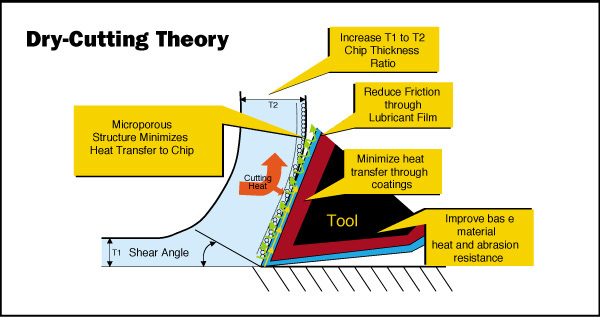 The increased cutting pressure and temperature require a good lubricating film to minimize heat and abrasive wear. 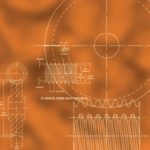 A barrier coating is used to reduce heat transfer to the base material, which must be optimized to support coating adhesion, increased cutting pressures, and thermal effects. Nachi-Fujikoshi has developed a new material called FM34D Figure 8. 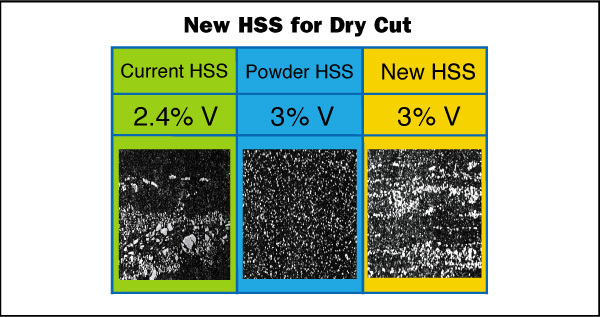 Through the use of new melting methods, a structure has been created that is similar to the very consistent structure of powered HSS, but with larger, courser carbide grains. This provides for improved strength and abrasion resistance without becoming brittle. 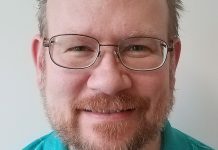 The next step involved attacking the coating problem. 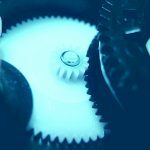 In a dry environment the coating must provide for all the lubrication requirements whereas, in the wet environment, the cutting tool is supplemented by the coolant. 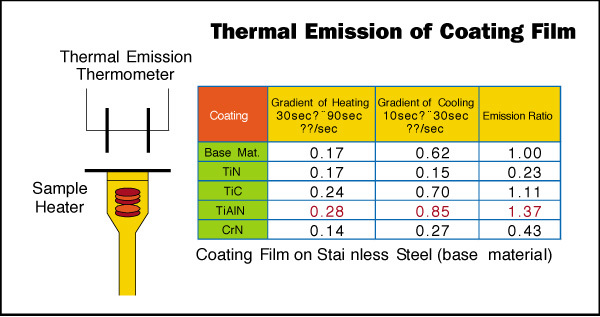 Thermal emission tests were conducted to determine the best thermal-blocker coating. The performance of some of these tests can be seen in Figure 9. From this testing, TiCN was determined to currently be the best blocking coating. However, TiCN by itself did not provide the necessary lubricity. TiAIN was coupled to this coating to provide the necessary wear resistance. This coating is known as “dual”. Hob cutters manufactured with the new base material and coating processes are referred to as “dual-cut hobs”. 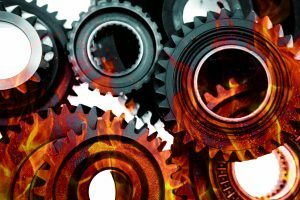 These hobs have been tested in many different applications. 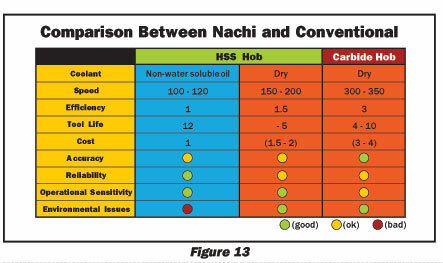 Figure 10 compares a standard HSS hob with a TiN coating to that of a dual-cut hob. 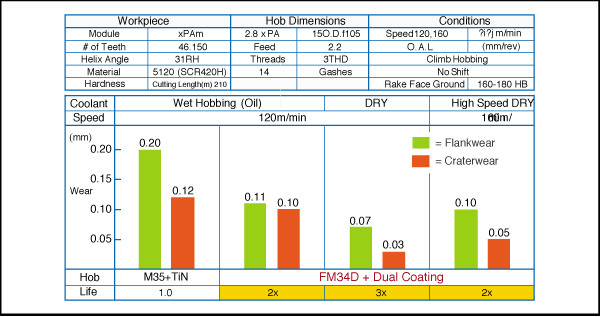 Cutting conditions, workpiece material, and hob specifications are detailed in the chart. In this example, tool life has improved significantly. 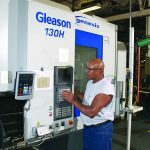 With higher-speed applications, tool life has not significantly degraded, resulting in reduced cycle times and improved productivity. 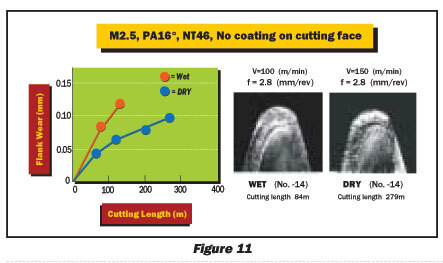 In virtually all test cases, using the dual-cut hob resulted in improved wear resistance over the conventional TiN coated hob in both wet and dry applications. 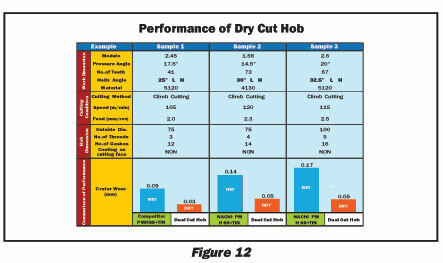 Figure 11 shows typical performance tests between a wet and dry application using the same dual-cut hob. Figure 12 shows actual field performance for three different applications. The decision to select either the dry- or wet-hob application is usually based on the user’s equipment and specific requirements. The chart in Figure 13 compares some of the performance objectives of each process, while Figure 14 outlines current developments, etc. 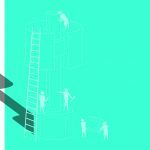 This may aid in your decision process. While all of the various workpiece materials and coolants have not yet been tested, this is a good starting point for comparison. 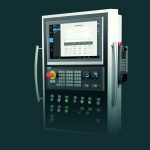 Nachi-Fujikoshi, and the Nachi Machining Technology Company, continue working to achieve the dry-cutting goal.